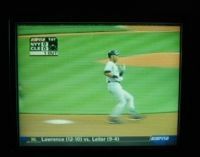 Live TV across the Atlantic? 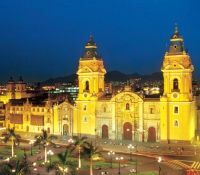 Lima is the latest South American destination to be linked to the Air France network. The carrier has inaugurated a five times per week service from Paris Charles de Gaulle, flown by a Boeing 777-200ER. 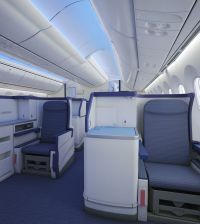 The aircraft is configured with three cabin classes with 35 seats in the new Business Class, featuring a lie-flat seat bed measuring over 2m in length, 24 pod style seats in Premium Voyageur and 250 in Voyageur (economy) class. Sister company KLM operates a daily service out of Amsterdam. 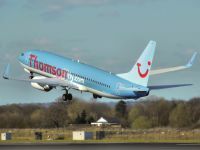 Thomson Airways, essentially a holiday airline, will begin using biofuels on selected routes between the UK and Spain this month, making it the initial UK-based carrier to use sustainable fuels in its fleet. The airline will operate the UK's first biofuel flight from Birmingham (UK) to Palma (Majorca, Spain), on 28 July, once its testing process has been completed and final safety clearance has been received. Weekly flights will follow on the same route from September. Thomson plans to operate the flight to Palma for a year and switch to the Birmingham – Alicante route in winter. The selected flights will operate on a 50% blend “Hydroprocessed Esters and Fatty Acids” (HEFA) fuel in both engines with 50% Jet A1 fuel. The HEFA fuel will be produced from used cooking oil. In 2012 Thomson Airways will become the first British airline to operate the Boeing 787. A European Union plan to include all airlines flying to Europe in the Emissions Trading Scheme from next year is unfair and contrary to global efforts to fight climate change, China's state-run Xinhua news agency is reported to have said. Xinhua, whose commentaries are a reflection of government thinking on major issues or controversies, said the scheme had been ill thought out. "In the name of dealing with climate change, the EU's approach will generate enormous financial benefits at the expense of the rest of the world, including developing countries," it said in an English language commentary. "Studies show that the extra costs of the EU's plan will amount to US$1.6bn in the first year alone. The direction of the cash flow is contrary to the spirit of the agreements reached at the UN Cancun climate change conference last year." Journey time between London and Vietnam will be significantly reduced from next December when Vietnam Airlines introduces non-stop flights between Gatwick and Hanoi and Saigon. A passage which was previously over 18hrs will be reduced to just 11hrs 30mins. 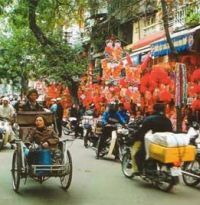 Modern Vietnam is today an industrialised western looking country keen to overlook its French colonial past and virtually ignore its Chinese communist heritage. Vietnam Airlines will fly a two-class Boeing 777 on the route offering connections to a comprehensive number of destinations throughout Indochina including Siem Reap (Cambodia), Luang Prabang (Laos), and Yangon (Burma). 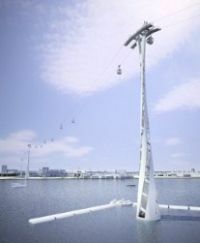 Work began last week on both sides of the river on the London cable car project which only gained approval last March. It is expected to be ready in time for next year’s Olympics. The scheme will provide a quick link between the O2 and ExCeL – two of the largest entertainment and exhibition venues in Europe, cutting travel times to five minutes. Scheduled for completion in summer 2012 the airborne link will provide spectacular views across the Thames and a new and unique addition to London’s transport network for thousands of commuters and visitors to London. In order to get the project off the ground Transport for London (TfL) has agreed to provide the upfront costs for the cable car. TfL will recoup its costs from a range of sources including the appointed commercial partner, fare revenue and advertising. Loganair has purchased Cambridge-based Suckling Airways, better known up north as Scot Airways with Stagecoach as a previous major shareholder. Suckling was founded by the late Roy and Merlyn Suckling in 1984 and these days is essentially a specialist executive and charter operator with a fleet of five 32-seat Dornier turboprops. “Scotland’s Airline” Loganair is even older and goes back to 1962. 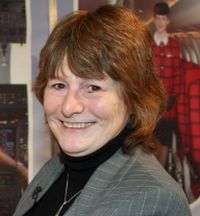 It operates scheduled services under a Flybe franchise in mainland Scotland and to Orkney, Shetland and the Western Isles. From Dundee it flies to Belfast City and Birmingham. Following the success of its Gatwick v-room leisure customer complex, which opened three years ago, Virgin Atlantic has duplicated the offering at Manchester. Admission is £20 for adults, and £12 per child (infants are free), with complimentary access for all Virgin Holidays customers staying at a Platinum Collection hotel. A water-themed zone for babies, toddlers and little ones to romp around in before boarding the aircraft, featuring soft play facilities, a magnetic wall and interactive games. 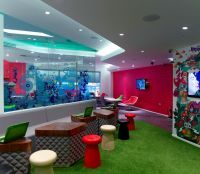 The gaming zone, where a wall-sized screen will immerse big kids and adults in a selection of X-Box Kinect games, is joined by an ‘outside-inside’ space with free internet access, plasma TVs and funky furniture. • v-room for adults with quiet relaxation and courtesy wi-fi. Boeing and Japanese airline ANA have started validation trials of the long awaited 787 Dreamliner. With the aircraft yet to be certificated passengers are limited to ANA and Boeing personnel climbing around test equipment on ZA002. The CAA, in its role as the UK’s airport regulator, has launched a full investigation into whether Heathrow’s passenger charges have unfairly impacted short haul carriers, following a complaint by British Midland International last January. 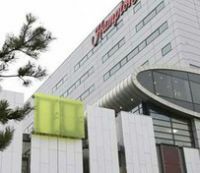 It plans to reach a decision by the end of October 2011. Interested parties should make their views know, in writing, by 6 September. In May 2012 Finnair will introduce a direct route to Chongqing, the largest and fastest-growing city in China. It will be the airline’s 11th Asian route. Finnair is the first airline to open a direct flight route from Europe to Chongqing. Flight time is 8hrs 30mins with a two-class Airbus A340 four times per week. Situated on the edge of the Tibetan plateau, Greater Chongqing has a population of 32m making it China’s largest city. The urban population is expected to double over the next five years. In addition to Chinese companies many Western companies, especially in the electronics, automotive and chemical industries, are currently increasing their operations in the area expanding cargo growth. By 2015, the airport will be capable of receiving 45m passengers a year. London is to have two more Hilton Hotels to strengthen its growing presence in the capital. However the company, owned by the New York Stock Exchange listed Blackstone Group, a private equity firm, has been very careful in its choice of names to avoid confusion. The Hilton London Southbank is situated next to the Neo Bankside residential development behind the Tate Modern, and is scheduled to open in 2012. Facilities will include a four-storey glass atrium, 31 suites, an executive lounge, LivingWell fitness centre, swimming pool, over 1,000sqm of meeting space, and a restaurant, bar and café at the front of the property. Thai Airways International is to introduce a three times per week direct 10hrs 35mins flight from Copenhagen to Phuket on 11 November, utilizing a Boeing 747-400. At present Europe to Phuket, Thailand’s premier resort city, is only available via limited services from Berlin (Air Berlin), Frankfurt (Condor), and Moscow (Transaero). Thai already flies daily from Bangkok to Copenhagen and is stepping up frequencies on the Phuket – Bangkok shuttle. With the school holidays imminent BA has come up with some suggestions. If you plan to take your child's saftey seat for the flight, check with the airline before travelling. Every one is different. Before your child’s first flight in their own seat, sit them on the sofa at home with a cushion between you as the armrest, explaining how it is on board. Take a small compact travel pushchair for easy cabin stowage onboard – standard pushchairs will normally have to go as hold luggage. Pack their favourite teddy, pillow or comfort blanket – to help them get to sleep more easily and make it feel more like home. Sometimes waiting for take-off or leaving the aircraft can be boring for young children – a bag of treats can work well at this point as a distraction. It is no-go for the flight deck – but most crews will try and help after landing. If you are flying somewhere with a big time difference try to allow yourselves two days when you get back to give your children time to get back into UK time before school starts. BALPA, airline pilots trade union, says it is lifting the threat of strike action at Virgin Atlantic which could have affected travellers' summer holiday plans. This will bring considerable relief to Virgin as a commercial operation, the recent problems at British Airways having an effect with its forward bookings. BALPA said it had secured a new offer from the airline, which it will present to its members in the coming weeks. Details of the proposals have not been announced as yet. Last month, Virgin pilots voted overwhelmingly to go on strike for the first time in the airline's history in a dispute over pay. According to a report in yesterday’s Sunday Times BAA Ltd is to be officially told by the Competition Commission, within days, that it must start the process of selling Stansted and either Glasgow or Edinburgh airports. The watchdog concluded back in March that it requires to sell two airports (which would have been three except that BAA had already offloaded Gatwick). Whilst BAA has a choice, industry opinion is that the sale of Glasgow is preferred to Edinburgh, the Scottish capital’s airport out performing the west coast complex (which also suffers with competition from Prestwick), and with the tram arrival now under way, far more potential. Flydubai has added two new Russian destinations to its network with flights to Kazan and Ufa. The new routes bring flydubai’s network to 43 destinations across the GCC (Gulf Co-operation Council), North Africa, Indian Sub-Continent, Asia and the fringes of Europe. Kazan is one of the major economic, political and tourist centres in Russia and the capital and largest city of the Republic of Tatarstan. 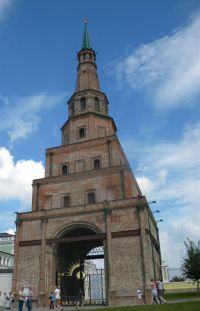 It is one of the most visited cities in Russia thanks to a 1,000-year history and the Kazan Kremlin, which has been declared a UNESCO World Heritage site. Kazan will host matches during the 2018 FIFA World Cup. The city’s main industries, meanwhile, include machinery, chemical, petrochemical, and food production. It is also home to Russia’s largest IT-park. Lufthansa has opened its largest lounge worldwide at Frankfurt. 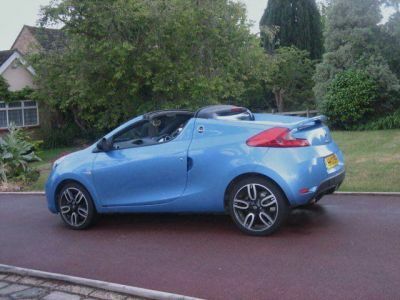 It is available to First Class and eligible customers. Situated in the departure area of Terminal 1 at Frankfurt, top customers can enjoy for the first time a modern wellness area with luxury facilities that include 10 showers and two spa rooms. Another entirely new addition to this, the Senator Lounge, is the City Lights Bar, whose name – spelled out in one-metre-high letters – forms an effective room divider. In the centre of the lounge is an atrium that allows natural light to flood into all the areas not fronted by the 130sqm glass facade. The atrium is surrounded by numerous service facilities, including an inviting wellness area, where Lufthansa Senator Card holders can unwind and enjoy massages, facials, full-body treatments or other beauty treatments. According to an article in last week's Flight International it will not be long before passengers on long haul flights, typically across the North Atlantic, will be able to watch live TV on their own handheld devices or through seat back in-flight entertainment systems. Jet Blue is behind the technology which is already operating domestically within the US. A target date of “late next year” has been suggested. United-Continental, Frontier Airlines and WestJet already offer the service on some sectors. Whilst flying within the United States one can watch a sporting event actually taking place in Europe whilst sitting in the Economy (coach class) cabin. 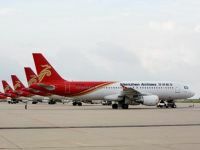 Star Alliance is to add China’s Shenzhen Airlines to its expanding portfolio of international airlines. Its integration into the grouping should be completed by the end of next year by which time the total membership is expected to reach 32 carriers. 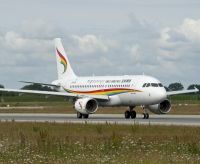 New Lhasa-based Tibetan Airlines has taken delivery of its first Airbus A319, the aircraft delivered from Hamburg last week. Powered by CFM56-5B engines the aircraft accommodates 128 passengers in a two-class configuration, with eight seats in premium and 120 in Economy Class. It is the lead aircraft of three. The A319s will operate at the highest airports in the world, typically Ali Kunsha (Tibet) which is above 14,000ft, and fly RNP-AR (Required Navigation Performance – Authorisation Required) procedures from Beijing and Chengdu to Lhasa and other regional routes. RNP-AR procedures represent today the most modern navigation technique, allowing the aircraft to fly precisely along a predefined route using on-board navigation systems and the GPS-based ‘Global Navigation Satellite System’ (GNSS). RNP-AR is especially important for operators, who have their base at a high altitude airport. Tibet Airlines has selected Quovadis as its strategic partner for its RNP-AR operations. Not since 1939 has Brooklands staged anything like it. What was once the home of British Motor Sport was lost with the outbreak of World War II when aircraft production took over. Or so most people thought. 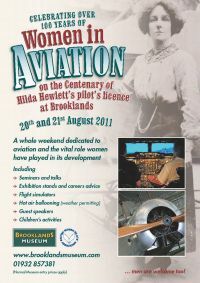 In 1987 the Brooklands Museum was created as a charitable trust. From 1991 the grounds were opened to the general public, a reminder of times gone by not only in terms of motor sport but also one of the most important historical sites in the world of aviation. And by one of those strange quirks with which life is all about, a new owner took over most of the balance of the Weybridge land, Mercedes Benz, the old adversary from those pre-war times. Opened in 2006 Mercedes-Benz World is a brand experience centre (and a car show room). At this impressive destination, visitors will find simulator rides, interactive challenges, enthralling exhibits and, most excitingly, the opportunity to take any one of the Mercedes-Benz car models around 2.5km of handling circuits. For off-road fans, this extends to a 10-acre off-road terrain course complete with deep muddy water and steep, slippery slopes. Located opposite Brooklands Museum, the Mercedes track offered an ideal sprint venue for the recent annual Brooklands Double Twelve Motorsport Festival. 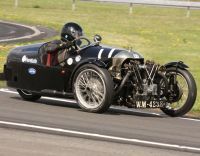 With the VSCC as co-organisers, the competition element was stepped up this year with the Test Hill Challenge added to the traditional programme of Double Twelve Sprints, Driving Tests and Concours d’Élégance. Making full use of every available space on the museum site to start up aero engines and parade exotic Alfa Romeo coupés in front of eager crowds, the track gave spectators so much to choose from at this two-day event. The stars of the 90-car Brooklands Double Twelve Sprint on the Saturday included two of the ERA single-seaters which dominated Mountain-Circuit racing at Brooklands in the 1930s, and one of the stunning Alfa Romeo Tipo B “P3” grand prix cars of the early ‘30s. Other single-seaters included Robin Tuluie’s aircraft-engined Riley Menasco Pirate. 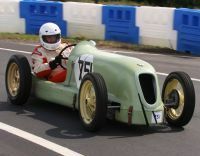 Large sports cars included Martin Overington’s 4½ litre supercharged Bentley and Ian Ferguson’s Stutz-engined Vauxhall. In the Double Twelve Driving Concours, which ran on both days, the must-see car was undoubtedly Corrado Lopresto’s Alfa Romeo 2500SS Bertone Coupé, which won this year’s Villa d’Este Concours d’Élégance. Full invitation classes of E Type Jaguars (marking the model’s 50th anniversary), three-wheeler Morgans (and even a brand-new three-wheeler in support) and Mercedes-Benz (celebrating 125 years of the world’s oldest car company) joined regular classes of veterans, cars with Brooklands history and cars in the Brooklands spirit to deliver an exceptional 12-class field of top-drawer classics. For many though, the icing on the cake was the dramatic trio of huge Napier Lion engines running simultaneously on the Sunday. The only three 24-litre Napier Lion engines running in the world today are those fitted to the Museum’s own Napier-Railton and Chris Williams’ Napier-Bentley racing cars, and a third static-running example recently restored by Andy Lloyd. All 72 litres and 1,600hp of them ran together for the first time on Sunday during the Test Hill Challenge. They were joined by other massive engines, including the 42-litre Packard engine in Chris Williams’ Bentley special “Mavis” and the WWI Clerget rotary engine of the Museum’s Sopwith Camel replica. The Brooklands ‘Spirit’ is alive and well and the Double Twelve is now a firm favourite in the Motoring events calendar. 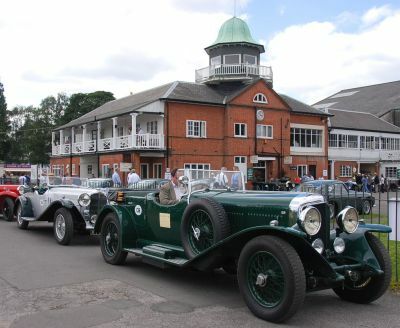 The strokes of its brush are broad and its varied heritage means there is much to celebrate and this two-day extravaganza was the perfect homage to a bygone era that started at Brooklands. Brooklands Museum is open every day (except for a few days at Christmas) and displays a wide selection of Brooklands-related motoring and aviation exhibits ranging from giant racing cars, motorcycles and bicycles to an unparalleled collection of Hawker and Vickers/BAC-built aircraft, including the Second World War Wellington Bomber, Viking, Varsity, Viscount, Vanguard, VC10, BAC One-Eleven and not just Concorde but the world’s only working Concorde simulator used to train the pilots.